Binance CEO “CZ” Changpeng Zhao has lauded Fidelity Investments’ move into the crypto market. A leading multi-national financial services provider, Fidelity recently announced its cryptocurrency custodial services offering, specifically targeting institutional investors. The financial planning and wealth management firm serves over 27 million customers. It will be the largest Wall Street enterprise to officially offer this service through its crypto-focused subsidiary, Fidelity Digital Assets. The firm will cover several cryptocurrencies including Bitcoin, Ethereum, and an assortment of other digital currencies. Fidelity’s clientele includes over 13,000 firms and brokers, as of October 2018, and assets under the firm’s control are valued at about $7.2 trillion. With five percent of the firm’s funds being valued at about $350 billion, it would push the crypto market cap up significantly. His tweet sparked conversations about the probability, with some skeptical fans dismissing this view as simply wishful thinking, while others saw it as something that could occur in the future. As one of the biggest financial companies in the world, Fidelity’s foray into the nascent sector is expected to have a marked impact on the market, which has been on a bearish stretch since the beginning of the year. The company’s custodial services will involve cold storage of digital assets. Client’s cryptocurrencies will be held in physical vaults distributed over a wide range of locations, remaining offline as an extra security measure against hacking. For its trading platform, Fidelity Digital Assets plans to use internal cross-engine technology. 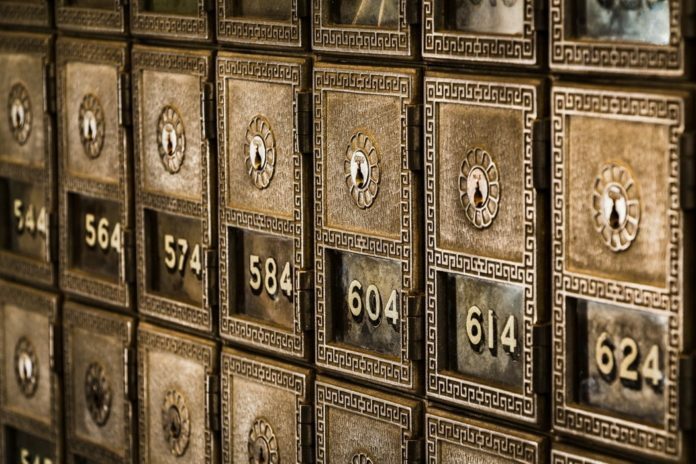 Digital assets held by Fidelity Investments will be held in physical vaults distributed over a wide range of locations. By moving into the cryptocurrency market, the company plans on making it easier for institutional investors to get into the high-risk asset class. Going by the service-launch statement issued by Fidelity Investments, the main aim of its digital asset subsidiary is to make digitally-native assets more accessible. According to Fidelity Investments CEO Abigail P. Johnson, the company will continue to invest in new market asset-forms while helping clients understand what they are and how to use them. The financial conglomerate began researching and experimenting with digital assets and blockchain in 2013. At the time, the company set up a blockchain incubator, and in 2015, it started to accept bitcoin donations through Fidelity Charitable. As of February this year, cryptocurrency contributions accounted for the biggest portion of the firm’s donations at $69 million. Last year, the company made it possible for clients to view their digital currency balances via Coinbase but didn’t allow trading. This move led to widespread speculation that the financial company was trying to experiment with crypto trading through the exchange. Fidelity asserts that distributed ledger technology holds huge potential, especially when it comes to creating a diverse range of business models and financial market systems. According to analysts, the lack of an established custodial service entity is one of the main reasons why institutional investors are fidgety about getting into the industry. Mike Novogratz, a former partner at Goldman Sachs and founder of Galaxy Digital, a cryptocurrency merchant bank, alluded to this situation last month at Yahoo Finance’s All Markets Summit. He noted that U.S. companies now have a lot of money kept away for investments in developing sectors, and one of those is the cryptocurrency industry. Mike pointed out the lack of established custodial service companies as a deal-breaker as major companies looking to invest in the sector are less likely to rely on new companies with unverifiable track records. Most small companies offering such services also lack significant asset-backing to offer assurance to customers. Thieves have stolen billions of dollars worth of cryptocurrencies from various crypto companies in the past decade. In 2018 alone, cryptocurrency platforms have incurred losses in excess of $1.8 billion due to hacking. In January, the crypto exchange platform, CoinCheck, lost $534 million in a single heist. However, the 2014 Mt. Gox hacking was of a biblical magnitude. News of its hacking sent shock-waves across the industry after bitcoins worth over $4 billion at today’s value were siphoned off the exchange. The event became a resounding testament to the risks involved when dealing with cryptocurrencies. Although the cryptocurrency market has already shown significant promise, fears instigated by such events still spook institutional investors. As such, most are choosing to wait for the entry of more experienced and regulated financial service providers offering crypto custodial services. Many cryptocurrency investors and industry enthusiasts are hopeful that the entry of Fidelity Investments will contribute positively to the ecosystem. Its entry is expected to lure more players and open up the crypto market by emboldening institutional players looking to move into the space. The post Binance CEO Lauds Fidelity Investments Move into Crypto Market appeared first on CoinCentral.